The role of women on corporate boards cannot be underestimated. Studies show corporations that have board diversity are better managed and more sustainable organizations. Have you ever wanted to serve on a corporate Board? WCEE and Dentons invite you to join us for a discussion of board diversity and leadership in the energy and environment industries, including practical insights about strategies for serving on a board. Hear from a distinguished panel of women who are currently on boards and those who advocate for greater board diversity. Learn more about board diversity from WCEE’s partner Women on Boards 2020. Cost: $25 (WCEE members); $50 (non-members) – Lunch will be provided! Non-member/university students, email executive.director@wcee.org for discounted rate. Security: Your name must be on the registration list to be allowed access to the venue. Clint Vince is the chair of Dentons' US Energy Practice and Co-Chair of Dentons Global Energy Sector. Clint is rated as one of the leading energy attorneys in the US and has directed the expansion of the US Energy team into a premier practice that includes professionals spanning the continent coast-to-coast, offering a full range of services to energy industry clients. He is widely recognized for his cutting-edge theories and solutions within the energy industry and has a top-tier litigation track record. Recently, Clint created the groundbreaking Dentons Smart Cities/Communities Think Tank and he is one of the industry leaders on this subject. Clint remains at the forefront of energy developments and continuously handles some of the highest profile cases in the industry. His experience involves major project development, legislative and regulatory advocacy on behalf of public and private clients, and litigation and appellate cases including US Supreme Court advocacy. Clint has handled more than 600 regulatory and litigation proceedings and argued before trial and state appellate courts; numerous US District Courts; and the US Courts of Appeals for the First, Second, Fourth, Fifth, Eighth, Tenth, Eleventh and District of Columbia Circuits; and the Supreme Court of the United States, in some instances multiple times. Clint has been named a WCEE Champion for his work helping to advance to careers on women in energy and environmental law. Stacy Swann is the CEO and Founding Partner of Climate Finance Advisors. Ms. Swann has more than two decades of experience in finance, fund management and development, including with the International Finance Corporation (IFC) where she was Head of IFC’s Blended Finance Unit and was responsible for managing and investing more than $750 million in donor funding for climate-smart investments. While at IFC, she also supported World Bank Group efforts to work with policy makers and other financial institutions on issues related to blended finance, climate finance, climate-smart fiscal policies and incorporating practical policy and investment approaches to managing climate risk. Prior to joining the World Bank Group, she worked in the private sector as a developer of infrastructure projects in India and Singapore. In addition to running Climate Finance Advisors, Ms. Swann is currently Vice-Chairperson of the Board for the Montgomery County Green Bank, the United States’ first county-level green bank, and she sits on the Board of the Women’s Council on Energy and Environment (WCEE). She also helped establish the Global Adaptation and Resilience Investment (GARI) working group which has convened over 150 private investors and other stakeholders to discuss practical approaches to adaptation and resilience investment. Kimberly Archer leads the Washington, DC office and is the co-leader of the global nonprofit sector for the firm. Kimberly recruits C-suite executives and advises boards around leadership assessment and succession in the private and nonprofit sectors. She focuses on External Affairs recruitment inclusive of fundraising and development, corporate communications and marketing, advocacy and policy. Kimberly has thirteen years of international search experience and joined Russell Reynolds Associates in 2005. Prior to executive search, Kimberly worked as a Vice President of Strategic Partnerships & Development, cultivating and negotiating corporate alliances in support of programs at one of the nation’s largest public health foundations focused on tobacco prevention and cessation. Before that, she worked in marketing and communications for Avon Products, Inc. with responsibility for the company’s flagship and first retail venture in New York City. Kimberly has also held positions in public relations with Federated Department Stores - Bloomingdale’s, serving as Manager of National Promotions and Special Events. Hon. Cari M. Dominguez is principal of Dominguez & Associates. Dominguez served as chair of the U.S. Equal Employment Opportunity Commission; as assistant secretary of labor for employment standards and labor management; and as director of the Office of Federal Contract Compliance Programs, where she created, launched, and led the Glass Ceiling Initiative. She was director of Executive Programs at Bank of America and a partner at two international executive search firms. Dominguez is a director of the Calvert Funds and ManpowerGroup Inc. She is vice chair and independent lead director of Triple-S Management Corp. Dominguez also is a director of the National Association of Corporate Directors—where she chairs the nominating and governance committee—and serves on its Board Advisory Services faculty. HispanicBusiness magazine listed her among its 80 Elite Hispanic Women and among its 100 Most Influential Hispanics. Jill Klein was appointed in June 2018 as Interim Dean of the School of Professional & Extended Studies, where she will continue the legacy of delivering cutting-edge, expert-driven higher education programs to nontraditional and lifelong learners - both online and on campus. A recovering CIO with industry experience in banking and consulting, Jill discovered a whole new passion after transitioning to a career in academia in 2002 when she joined the Kogod School of Business faculty as an Executive in Residence in Information Technology and Analytics. Professor Klein teaches a wide range of courses for graduate and undergraduate students and especially enjoys the challenges of teaching a Complex Problems course on Digital Citizenship. In 2015, Professor Klein was appointed Kogod’s Digital Dean and managed the launch of Business@American, Kogod’s online MBA and MS in Analytics. 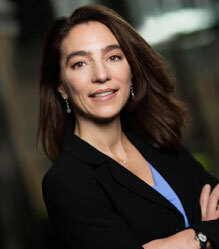 Professor Klein especially values her work advocating for gender-diverse corporate boards. Since its inception in 2010, the Women in Technology’s efforts has been guided by Jill, along with The Leadership Foundry’s Advancing Women to the Corporate Boardroom annual study. She also serves as an advisor on The Leadership Foundry curriculum, serves as the DC Co-Chair of 2020 Women on Boards and is a member of Leadership Greater Washington . Marguerete Luter is President and owner of The Process Pro, an LLC fueling organization growth strategically and tactically through focus on strategic planning, business process, organization development and operations. Ms. Luter’s entire career has been focused on helping organizations grow. Her efforts at Xerox, Unisys, and now the Process Pro demonstrate an uncommon common sense—i.e., the wisdom and practice of integrating strategic thinking and planning with tactical and performance objectives, and rolling it all together into business processes that serve the organization’s mission and goals. Before founding The Process Pro, Ms. Luter held significant positions with Unisys Corporation. Most recently, she was the Vice President, Global Bid Management for the Global Infrastructure Services business unit. She was accountable for pre-sales processes, effectiveness and costs on a worldwide basis. She led this capture organization in its mission to provide global structure, processes and resources to qualify, design, price and cost client-centric, marketplace-competitive, integrated solutions based on the Outsourcing and Infrastructure Services portfolio. Her responsibilities covered all phases of opportunity management including qualification, project management, engagement solution management and financial management.